A two-dimensional image that gives the illusion of perception in three dimensions (depth). 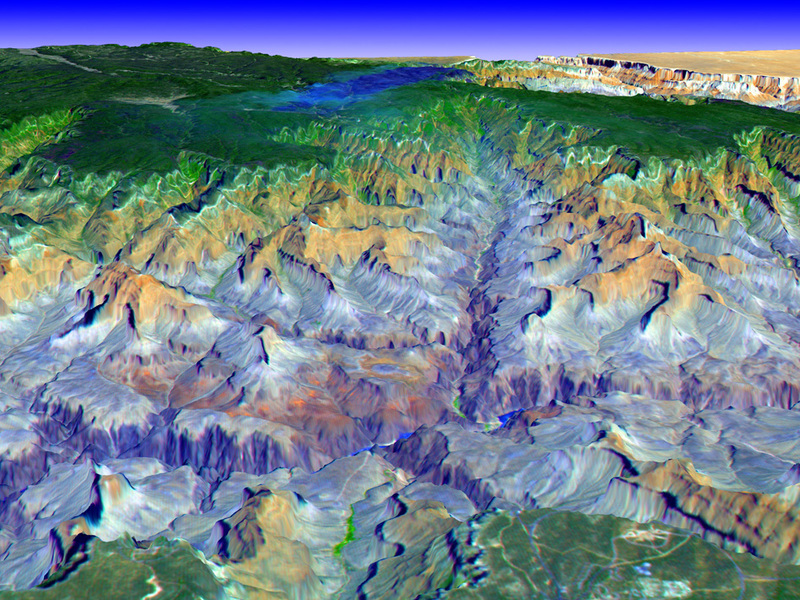 See this 3-D view of Grand Canyon, courtesy of NASA. Also spelled 3D view.